Our About the Authors series continues with Maureen Barry. Over the years, my writing has focused on various genres: plays, short stories, novels, poetry, journaling and memoir. I can’t remember a time when I haven’t been writing in a journal. The journey has always been a connection to self-validation as the written words make sense out of what I call my life. Writing is often a surprise. As I react to a prompt, my mind spins and words pour onto the page. Did I just write that? Should I tell the whole story? Did it really happen to me? How could I have been so stupid? Then I realize from reading the words that this is what happened and I need to revisit the place or the time to capture the whole experience. 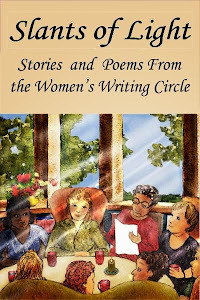 The Women’s Writing Circle has been an opportunity to tell my story. In sharing my story, "Cheers and Beers! 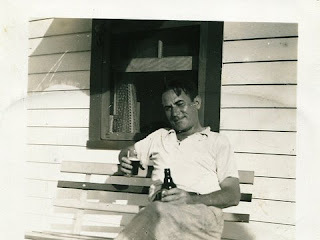 To Grandpop Joe," for our anthology, Slants of Light, my relationship with my grandpop surfaced. The more I wrote, the more I realized his influence on me remains today. The time I spent with him validated my importance as a woman. I find myself repeating his behaviors in my interactions with my own grandsons. It’s the surprise in my writing that holds the most shock and it is what guides me to a deeper understanding of the experience. It makes me want to know more. Writing gives me freedom to clarify significant experiences. 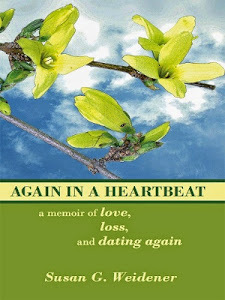 It explores my childhood, my education, my friendships, my loves, marriages and my children. By sharing my experiences, I connect to others and so it becomes a human connection. We are all vulnerable and trying to figure out the same things but in different ways. In another sense, writing is like swimming through a pool of ideas. They glide up against me and I take one stroke at a time. Gliding through the water, I reach and I pull. My childhood is a collage of people I love. I gaze at each photo and want to know more about the person staring back at me. I retrieve my memories and start writing whatever I can remember. I explore my memory through my senses as I add the details to the scene. I sometimes hear his voice, “Great job, Maureen.” As I read the memoir to the Circle, grandpop, sitting at the kitchen table at 63rd and Greenway Avenue in Philadelphia, came to life with vivid details. I saw myself pouring a glass of beer under his watchful eye. It was more than a Kodak image; it was a movie in slow motion. 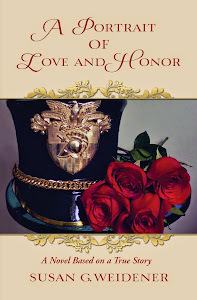 My memoir reminds me of the gentle hero of my childhood who gave freely of himself. The story gained strength and momentum from the Circle’s responses and editing. The memoir piece captures one of my fondest memories of my childhood. Maureen Barry is a storyteller and the author of six children’s books. Her stories can be found on her website www.maureenbarry.com “I love to create original stories, then bring them to life in a performance. Children are magical as their imaginations run with my stories. My memoir is presently a work-in-progress and I plan to publish it. Everyone has a story to tell. Our stories connect us to each other and help us understand how life acts upon us. It is the connection between people that keeps me intrigued.” Maureen was a teacher for over thirty-three years at the high school and college levels, and was involved with theater productions in the classroom and on the stage. Maureen facilitates workshops in the art of storytelling, writing children’s books and memoir. She sails, travels and lives in Malvern, PA. .....Your spirited comments on the 'craft' of writing ring true. Writing allows both writer and reader 'to revisit a place.' It allows 'surprise' to happen in a new or different way. People, places, events - some cruel - live again. The writing journey, often painful, helps to both clarify and entertain. Fortunate, indeed, are we of the Women's Writing Circle to tell our stories in a spirit of support and encouragement. Don't stop now, Maureen. Maureen, I love how you note that writing is indeed a surprise, a journey of self-discovery. I love your metaphor of gliding through water, at times pushing and pulling against the "tides" what our stories tell us, how they have influenced us and how they demand to be told. Keep working on your memoir and continue holding the "surprises" you find along the way close to your heart to be cherished. 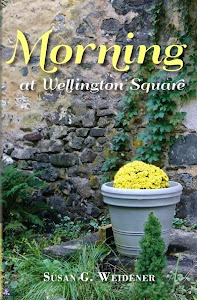 Hi Maureen, I appreciate what you say about the story unfolding as you begin to write. It's as if the people and events that need to be shared reveal themselves in the writing process. All we have to do is show up! I remember your Grandpa Joe from the anthology. You bring him alive on the page and help me connect with my own childhood memories with my Grandpa. Lovely. Thank you for sharing. Hey Maureen - LOVED the way you describe the revelatory aspects of writing - so true for me too! And, as you point out, quite unexpected. Our stories do strengthen each other which is certainly part of the extraordinary alchemy of writing, reading and conversing. In some way, experiences become shared and meaning begins to emerge. You GO! Writing is often painful. I am working on my memoir focusing around my divorce and I am often stopped by feelings that are difficult to get passed. But, it takes me to another place and I am making my way through the difficulties.To me, it is growth. Feeling close to one's heart is often tough hurdles, but once you cross it it gives you a sense of self. I am working on my memoir in baby steps. I am playing with approaches. The letters to my husband's mistress is still very much a part of it. We shall see what surprises I find. Thanks for all your support. I can remember when you began your own journey so many months ago. We are sharing many surprises as we cheer each other on. Women share a special connection on so many levels. Glad you were able to visit with your Grandpa through my memoir. Grandpop Joe lives with me every day. I cherish having him in my life. I hope I will be as significant in my own grandchildren's lives. I plan to make it happen by being present in their lives. Thanks for validating my experience and seeing its value on different levels. I feel great about the memoir being published because he will continue to live on in a very special way. Grandpop Joe made a lasting imprint on your life and it comes through in your writing. It's so touching how you note your similiarities between yourself and your Grandpop. It reminded me of the strength of my late Grandma Bonnie. Grandparents are the keeper of family values and truth. Thanks for sharing a little piece of your family in our anthology.